- BJ's Restaurant & Brewhouse - Half off the price of any full order of chicken wing on Saturday, July 29, with a minimum $9.95 food purchase. The deal is good for dine-in and take-out but you'll need to either print or show (from your phone) this coupon off their website. - Buffalo Wild Wings - A small order of boneless wings plus a side of fries for $9.99 and a small order of traditional wings plus a side of fries for $12.99 all day on July 29, 2017. 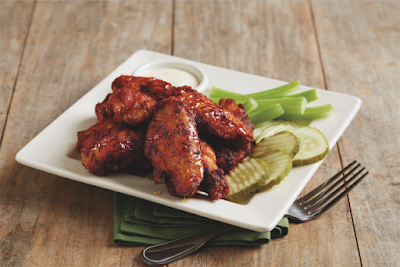 - Hooters - 10 free Smoked Wings when you buy any 10 wings at participating locations for dine-in only on July 29. No coupon required. - Wingstop - Five free boneless wings with any wing purchase on July 29, 2017, at participating locations from 11 AM to 5 PM local time. No coupon required.